The thermostat is an important part of your vehicle’s cooling system. Its role is to control the flow of coolant to your engine, keeping the vehicle at its optimum running temperature. The thermostat measures the temperature of your engine, opening and closing to allow / restrict the flow of engine coolant. Over time, the thermostat can break and malfunction, directly affecting the flow of coolant to your engine. The thermostat may become stuck closed, restricting the flow of coolant to your engine. This can cause the engine to quickly overheat. If your temperature gauge is reaching a critical level, it is best to pull over and let your vehicle cool down. Overheating can seriously damage your engine and result in a huge repair bill. In this case it is far more cost effective for you to call a breakdown service such as the AA, or a friend to help you, rather than risk multiple thousands of dollars worth of damage to your engine from overheating. This will also cause the oil to never reach its optimum temperature, increasing wear on your engine over time. 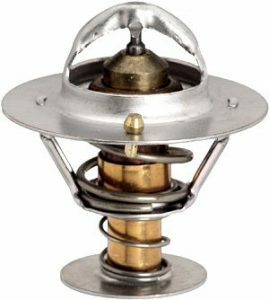 Do you suspect your vehicle has a thermostat problem? If so, our team of skilled mechanics can diagnose, remove and replace the thermostat for you, saving you from serious and expensive engine damage and other ongoing costs. We use the latest technology non contact digital thermometers and scan tool data to measure and analyse your engines thermostat performance. For reliable thermostat diagnosis and replacement in Hamilton, contact Grimmer Motors today!